Marie Louise Fuller made her stage debut at the age of four, thereafter pursuing an acting career in stock companies, vaudeville and with Buffalo Bill Cody's Wild West show. In 1889 she devised her famous 'serpentine dance' in which lengths of silk were skilfully manipulated under constantly changing coloured lighting. An appearance at the Folies-Bergère in 1892 brought her to the attention of Toulouse-Lautrec, Jules Cheret and Auguste Rodin, all of whom produced works based on her act. Such was her fame that she became widely imitated, often under her own name, something she makes much complaint of in her autobiography. 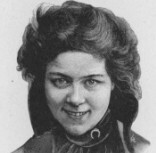 According to Terry Ramsaye, an 1896 Vitascope film claiming to show 'La Loie' actually featured her sister, but French companies proved more successful in capturing the dancer on film. 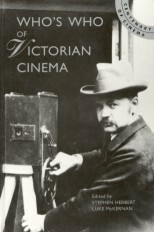 A Lumière film of 1896 featured the Danse Serpentine, while Pathé productions included La Loïe Fuller (c1900), a longer version La Loïe Fuller (1901), and a coloured film Loïe Fuller (1905), 'Edition nouvelle avec transformations'. Her dancing won fresh critical acclaim during the Paris Exposition of 1900, and she continued to make appearances in Europe and America throughout the next twenty-five years.